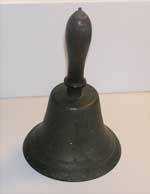 Used in the one room schoolhouse located at the bottom of Schoolhouse Hill Road. 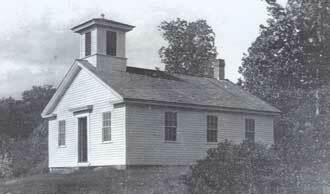 Building is currently used by the Haddam Neck Congregational Church as a parish house. The Haddam Historical Society collects artifacts, books, furnishings, decorative arts and archival material relevant to the history of the town of Haddam and the Thankful Arnold House Museum. Our collection contains many wonderful and significant items including a Clark Cutaway Harrow, the school bell from the Haddam Neck Schoolhouse, and business related papers from the Shailer-Knowles Factory to name just a few. Generous residents, members and friends have donated many of these items to the society. The Collections Committee also occasionally purchases items that are pertinent to the heritage of our community. Our mission is to preserve, collect, interpret and promote the history and heritage of Haddam for present and future generations. Below is a brief description of the Collection and Archives. If you have an item or material you would like to donate to the Society, please call today! We can make arrangements for pick-up. The archives: A collection of rare books, manuscripts, papers, publications, prints and photographs relating to local residents, homes, businesses, institutions and organizations and the Thankful Arnold House. The Arnold Collection: The heart of the Arnold Collection is made of the personal and business papers of brothers Samuel and Isaac Arnold, and Isaac's son Isaac Arnold Junior. The documents cover a period of 1840 and 1892 and include personal letters, business papers, sales records, Haddam town business and ever-political party matters. The Haddam Collection: Contains archival materials pertinent to the town of Haddam, local businesses and organizations, individuals and families. The collection of miscellany of primary and secondary materials relates to the town and all its villages and includes material as far back as 1670 and as recent as last week. The collections has been arranged in sixteen series and includes Account Books, Business & Industry, Churches, Clubs & Societies, Families, Government & Agencies, History of Haddam, Land Records, Maps, Middlesex County Jail, Schools, Photographs, Images & Postcards, Slides, Books, Events, Personal Collections of Haddam Residents, Videos, Films & Audio Recordings and Places. The Harold Barbour Collection: Harold Barbour (1889-1961) was an illustrator and political cartoonist who lived in Higganum from 1929 until his death in 1961. The Collection includes cartoons, illustrations, business correspondence, fiction and non-fiction, pencil sketches, photographs, poetry and woodblock prints. Ephemera: This collection of miscellany of items dating from 1809 to 1946. The collection does not relate directly to Haddam, however it does reveal some of the history of Haddam and its inhabitants through the memorabilia produced and saved during various periods of time. Items include greeting cards, postcards, pamphlets, periodicals, programs and handbills. Thankful Arnold House Archive Collection: This collection contains documents, drawings, illustrations, photographs, slides and recordings that pertain to the history of the Arnold House and the 1963-65 restoration of the building. Haddam History Museum Collection: A collection of artifacts relevant to, or unique to Haddam, Higganum and Haddam Neck. This collection includes many significant items ranging from a building remnant from the Meetinghouse which once stood on Walkley Hill to and unopened Undina Soda bottle. The Society is interested in obtaining any artifact pertaining to the history of the community and is actively collecting pieces. Please call us if you believe you have an item that we should add to our collection. Thankful Arnold House Museum Collection: A collection of furnishings, decorative arts and other artifacts that are related to the Thankful Arnold House and/or are typical of an 1830 house in Haddam. This includes authentic pieces including a tin reflector oven believed to have Thankful Arnolds and fine period furniture including a Connecticut made desk once belonging to the Burr family. Reference: A collection that includes photocopies of books and other material on Haddam history, including information on churches, businesses, local institutions and families. We have data on many of Haddam's early families which are available to researchers by appointment and our small library also features books relating to Haddam and Middlesex County and early American life, art and culture. The Society also has maps of early Haddam dating from circa 1845, 1859 and 1874. We also have later maps of Higganum Center dating from 1881 and 1904. The Society also maintains a list of cemeteries and has the WPA records of headstones from the early 20th century. To access the archives and collections please call for an appointment 860.345.2400. Genealogy and historical research is available as staff and volunteer time permit. Please call 860.345.2400 or email us at research@haddamhistory.org for further information and fee schedule.